Lighting has the unique ability to change the mood of a room’s occupants. It can even affect how the size of a room is perceived by its users. For commercial buildings, intelligent lighting control systems offer businesses a simple way to achieve a range of elegant interiors, without the price tag associated with high electricity consumption. 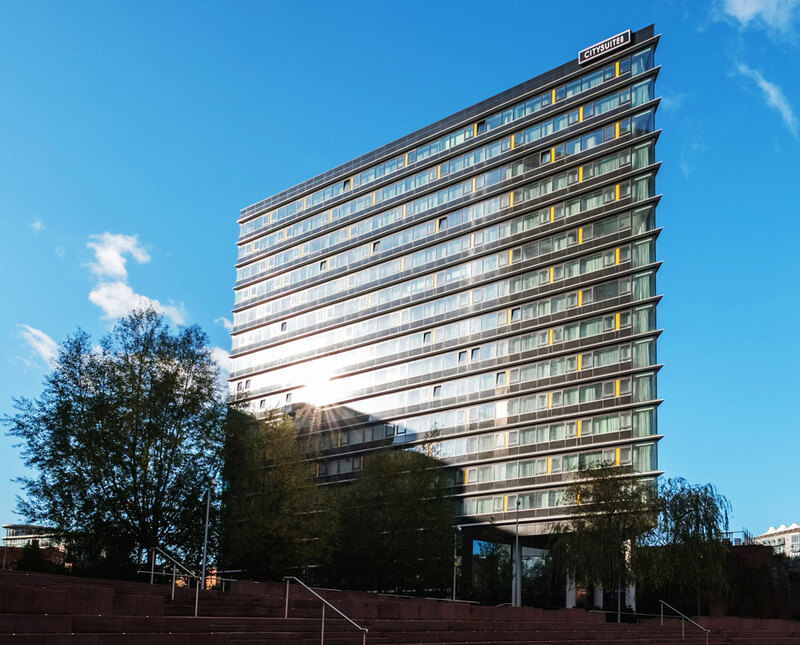 ADF explores how lighting control systems from CP Electronics have been used to inject a sense of luxury to a Premier League football club, and one of Manchester’s most highly sought-after apartment blocks. Many of the world’s leading companies are known for their unique interiors and often, the way in which their buildings are lit can form part of the brand’s identity. Think Apple and you associate its stores with bright lighting and minimalist decor. On the other hand, clothing company Hollister has previously made national headlines due to its dimly lit shopping environment. Undeniably though, the atmosphere in both stores have become synonymous with their household names. To offer luxurious surroundings and furnishings to occupants, customers or guests is an investment many businesses cannot afford to prioritise. However, with a suitable lighting control system, an atmosphere that smacks of style and elegance is easier to achieve than you might think. Effective lighting control systems can be used to change the mood within a room, depending on the occasion. 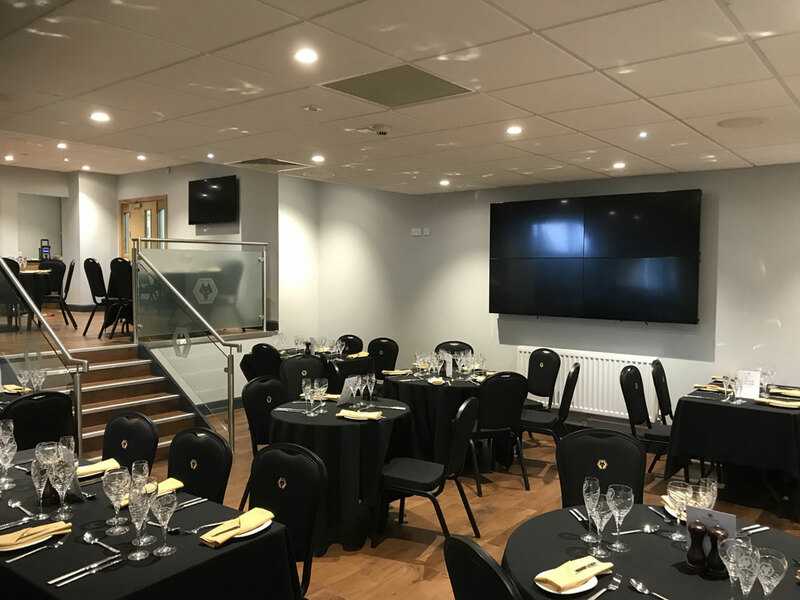 Newly promoted Premier League side Wolverhampton Wanderers, were recently looking to use a lighting control system to impress guests in the club’s main boardroom. 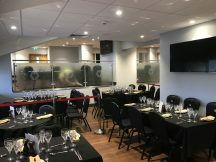 Used for conferences, match day hospitality and functions such as weddings, the multifunctional room required a variety of different lighting scenes to set the appropriate tone but retain the room’s lavish character. Providing this functionality was the RAPID system from CP Electronics, the UK’s largest supplier of lighting controls. Using a scene plate, this fully addressable system enables Wolves’ team to operate eight different pre-programmed scenes. Scenes include controlling perimeter lights, through to dimming them to an optimal level for presentations, and even a disco lighting setting at a touch of button. Furthermore, the system allows users to set the scene by controlling the lights with a smartphone via the Rapid Scene Control App. Leading the way with the electronics and lighting work was Stuart Walters, Managing Director of CKW Contracts. “While football is the main revenue generator, we understood that Wolves also do a lot of business through the corporate side. To that end, their main boardroom needed to excite. “Not only does CP Electronic’s RAPID system give the space that wow factor, it’s also easy to control for the end users, and with a fully addressable system, it can be easily re-programmed if required”. 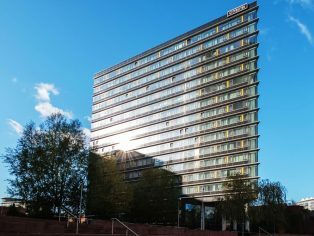 Similarly, CitySuites in Manchester has recently cemented its place as one of the city’s most desirable places to live and stay. 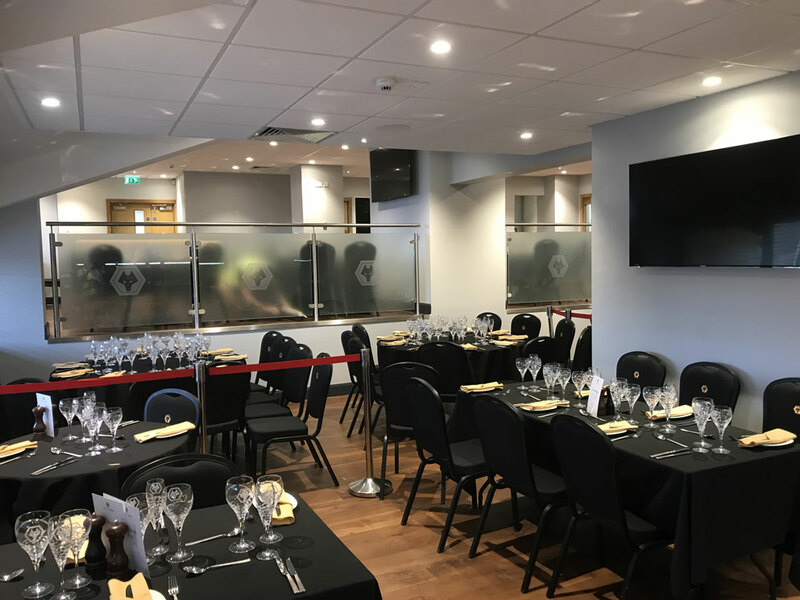 With the likes of Manchester City manager, Pep Guardiola, as one of its residents and Michelin Starred chef, Tim Allen, serving up some of the finest cuisine within its walls, it was integral that the building’s lighting matched the status of its clientele. 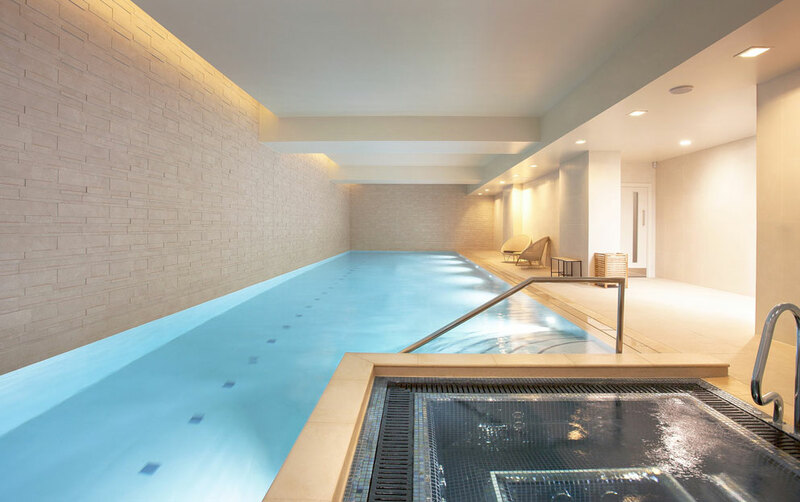 To help create and control the luxury ambience of CitySuites, CP Electronics supplied its D-Mate® room control system to the communal areas of the building, including the reception, gym and pool. “CP Electronics demonstrated an understanding of the luxury feel we were going for with CitySuites immediately with the suggestion of their D-Mate® system. The scene setting plate in the reception allows reception staff to easily control the lighting and mood, while it was simple to commission, adaptable, and helps CitySuites save energy and cost when areas aren’t in use. To that end, corridors that link the building and apartments have all been installed with standalone long-range microwave detectors. These detectors are set to presence detection mode and work via motion sensors. The long-range microwaves pick up movement and switch the lights on when motion is detected and turn the lights off again when there is no movement. With long corridors, CP Electronics specified microwave detectors that can sense movement up to 25-30 metres away from where the detector is installed. This means only one detector is needed per corridor and capital expenditure on detectors is reduced, while maintenance is also decreased in the long term. Before splashing out on extravagant furniture or redecorating a room, it quite literally pays to consider how lighting control systems could change its mood. The technology’s ability to create luxurious settings combined with its power to provide significant efficiency benefits, means luxury can be achieved without the associated costs. Over a period of time, technology such as presence detectors can even mean the system will be paid off within years of installation.